Hi Cake Friends! So I was shopping at my local Michael's Craft Store recently and found myself wandering into the paper craft section. I stumbled upon a small clearance area, and located in that area was a small selection of various paper punches. My eyes immediately went to a beautiful Martha Stewart scalloped edge paper punch. I knew there had to be some way to use it in cake decorating! I held onto it for a couple of weeks until inspiration finally hit me! 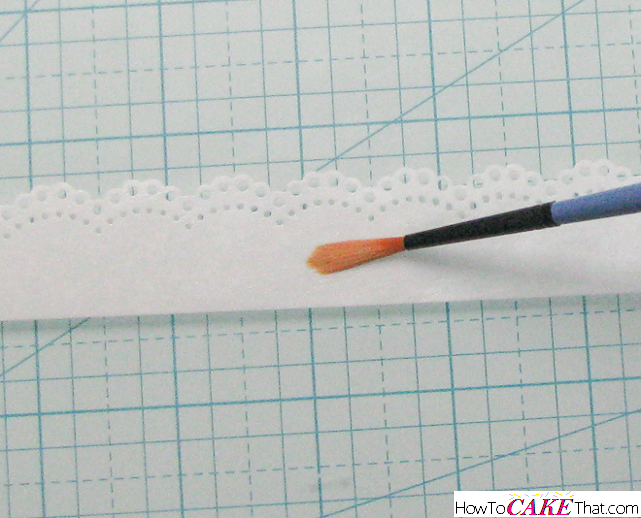 This little tool was the key to creating a stunning cake in a short amount of time! Just a few presses through the paper punch and you have beautiful fine detail that's sure to capture anyone's attention! 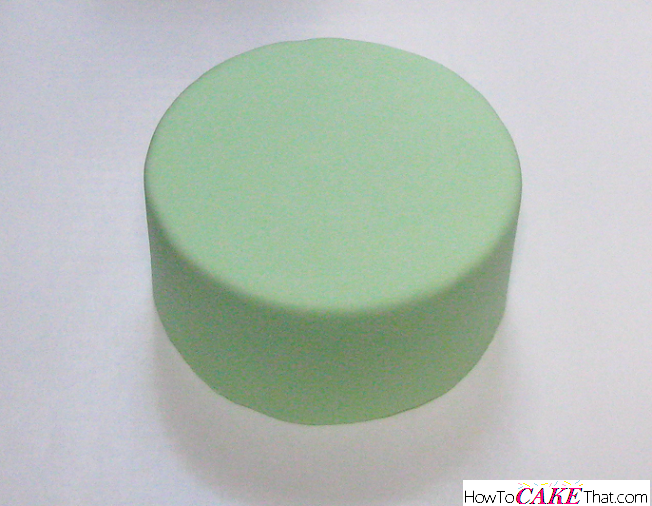 To begin this tutorial, I have a 6 inch round cake covered in mint green fondant (sorry, it was a cloudy day and the photos are a little dark). 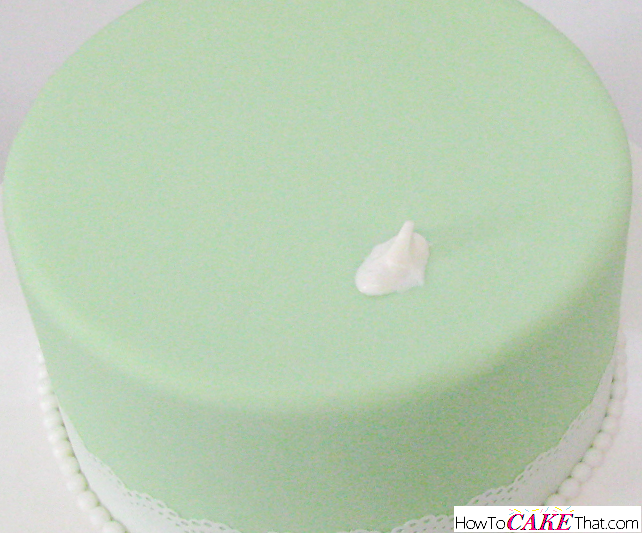 The fondant was colored using Chefmaster gel color in Mint Green. Also, I planned ahead and created a rose topper which has been drying for two days. 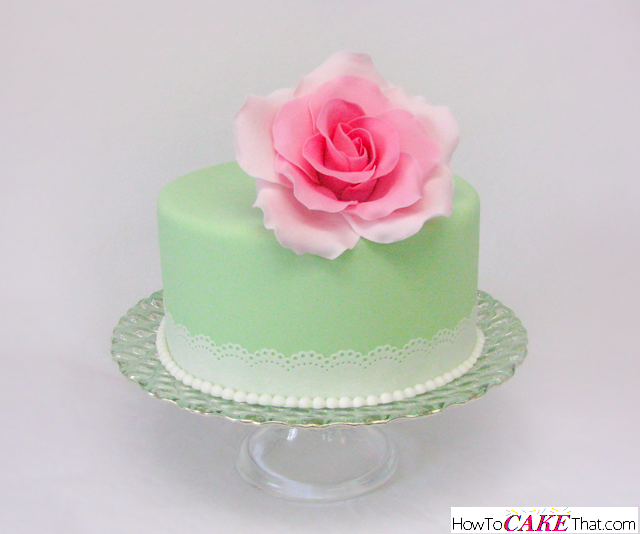 If you plan on making a gum paste flower topper, plan ahead and create at least 2 days prior to decorating this cake. 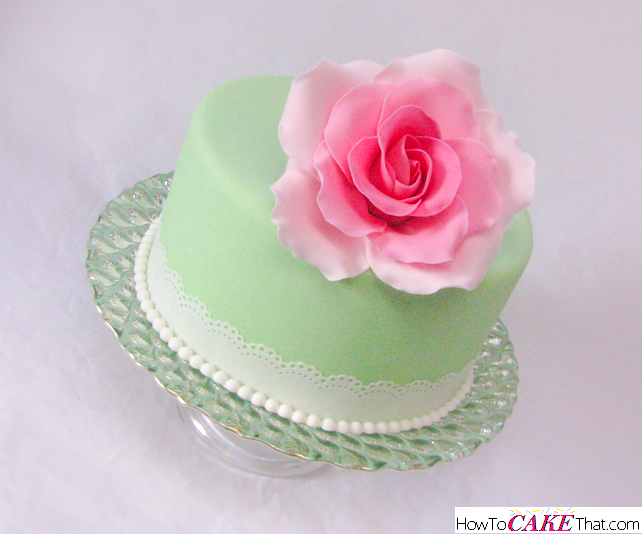 Wafer paper flower toppers can be created the same day as decorating the cake. 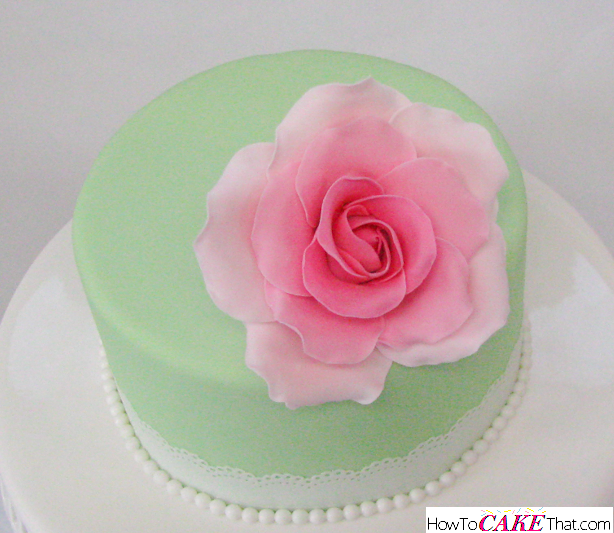 If you'd like to make a similar rose, I colored my gum paste with Chefmaster gel color in Gel Bakers Rose. I created the ombre effect by starting with the richest pink colored gum paste petals at the center, and gradually making the petals lighter and lighter as I added layers to the rose. Now for the fun part! I punched the long edge of a sheet of wafer paper (also known as rice paper) through my paper punch. Isn't it so pretty?! Next, I decided how tall I would like my wafer paper trim to be. 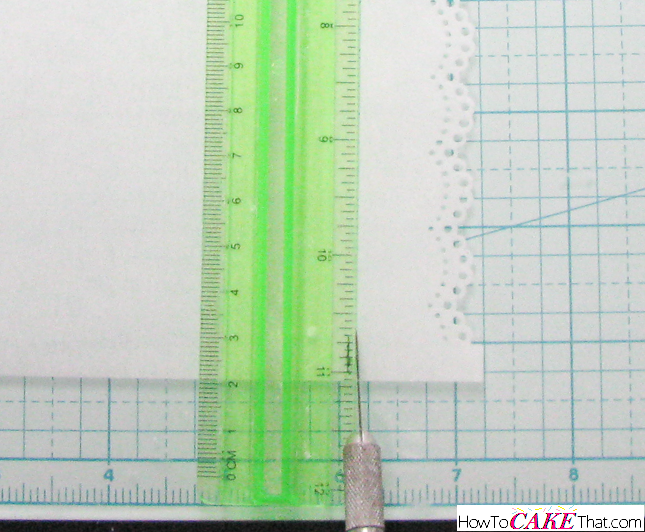 I lined up the edge of the paper on my graph board and used a ruler to create a straight edge. I used an Xacto knife to follow the ruler and cut a straight line at the bottom of my wafer paper trim. Be sure to cut straight lines on the ends of the trim as well. Now this next step is totally optional. It only makes a very small difference. I wanted my wafer paper trim to be more opaque, and less see-through. So I created a wafer paper friendly white paint to paint on the surface. To make the paint, I blended a mixture of white petal dust and a little bit of vegetable oil, and painted a very thin layer on my wafer paper. 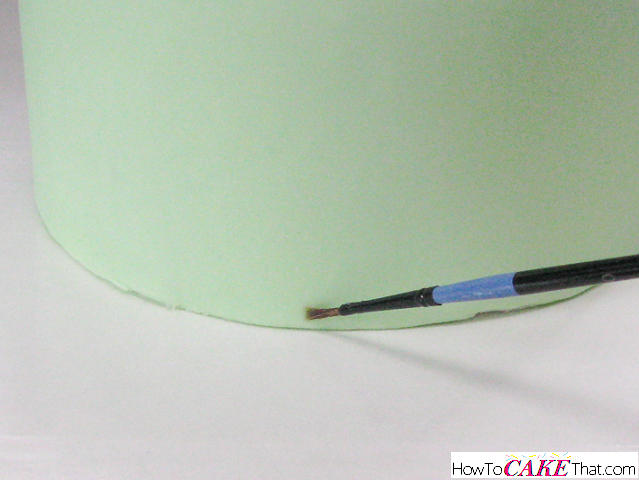 This helps the wafer paper to appear more white when it is attached to a colored surface. 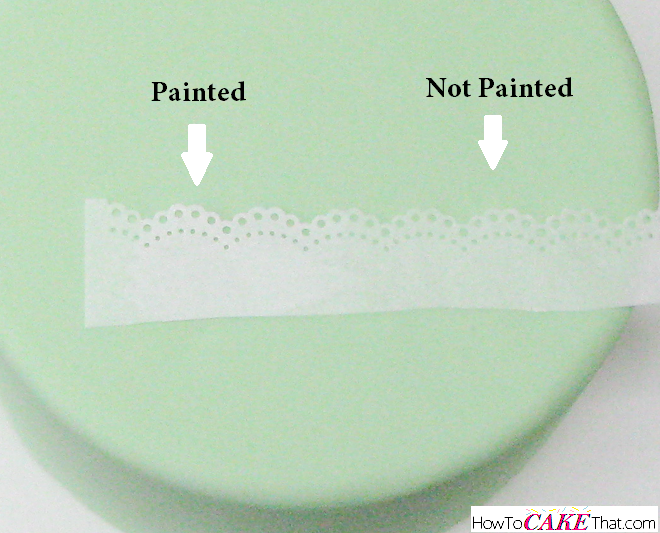 This paint never dries, so be careful when handling the wafer paper trim. 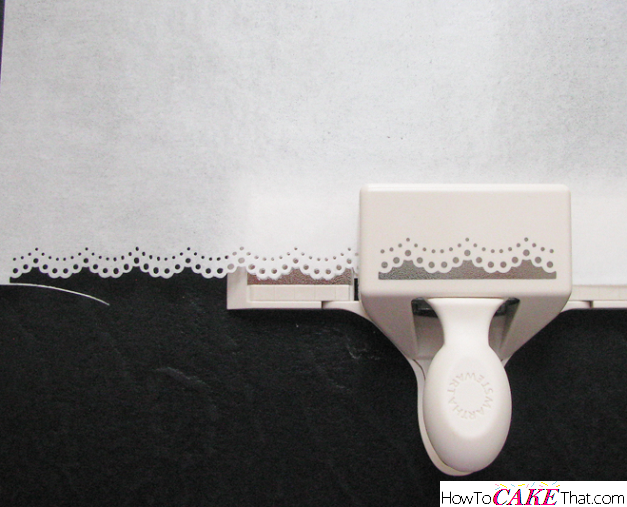 Note: Or you could use Wilton's Edible Paper for perfectly white edible lace trim. Here you can see the slight difference the white paint has to offer! The left side that is painted appears more white, whereas the right side appears a little green. 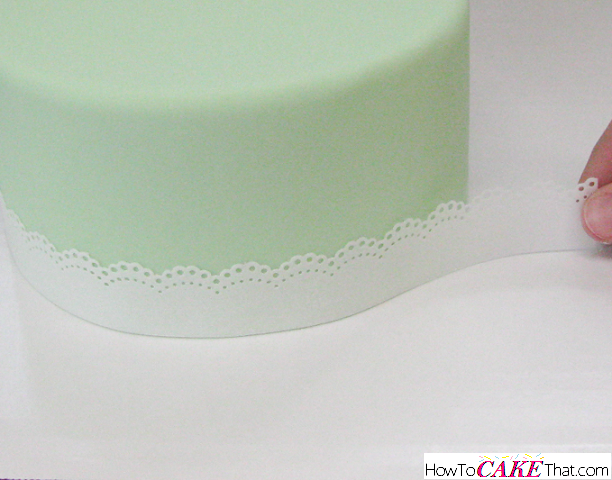 Next, wrap the wafer paper trim around the bottom of the cake. Your fingers may leave prints where the wafer paper has been painted. If that happens, just use a paintbrush to brush a little more of the white paint over the area. Now to add the pearl trim around the bottom of the cake. For my pearl trim, I am using the string of pearls mold by First Impressions (size 6mm). LOVE this mold!! If you don't have this one yet, I highly recommend it! 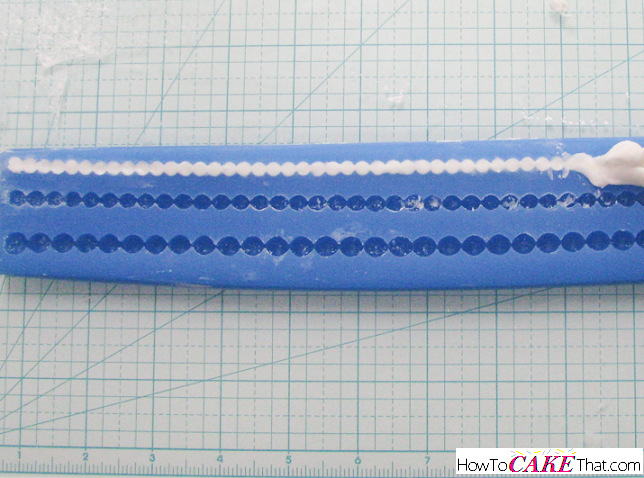 To use this mold, I roll my fondant into a long fondant snake that is slightly thicker than the mold. I lay the fondant snake over the area of the mold I will be using. Using my fingers, I press the fondant down into the pearl mold cavity, being sure to remove any excess fondant. I place the mold into my freezer for about 20 to 30 minutes to slightly harden the fondant and make removing the molded fondant easier and less likely to warp. First Impressions, I love you!! You make something that would take hours to complete so simple and quick! Place your cake on a cake stand, or whatever else you will be using to present your cake, and wrap the bottom of the cake in the pearls. I did not use anything to adhere the pearls to the surface. The condensation from moving it from the freezer to room temperature air is enough to make it stick. Next, decorate the top of the cake with whichever flower or decoration you choose! For my cake I wanted a bright pink large rose to compliment the mint green. To attach the rose to the cake I melted a little bit of white Wilton's candy melts and dabbed a bit onto the top of the cake where I would like my flower to sit. Then I set the rose right onto the melted candy melts and held it there until the melts set enough to hold the rose in place. 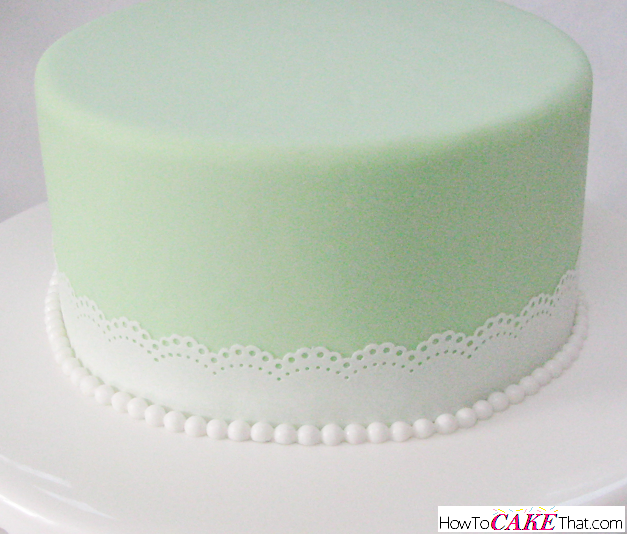 And that's how you create this super simple, yet so pretty mint green cake trimmed with lace and pearls. Perfect for Mother's Day or a surprise birthday cake for any special lady in your life! I hope you have enjoyed this tutorial! God Bless! !